Hold your horses, Bachelor Nation. 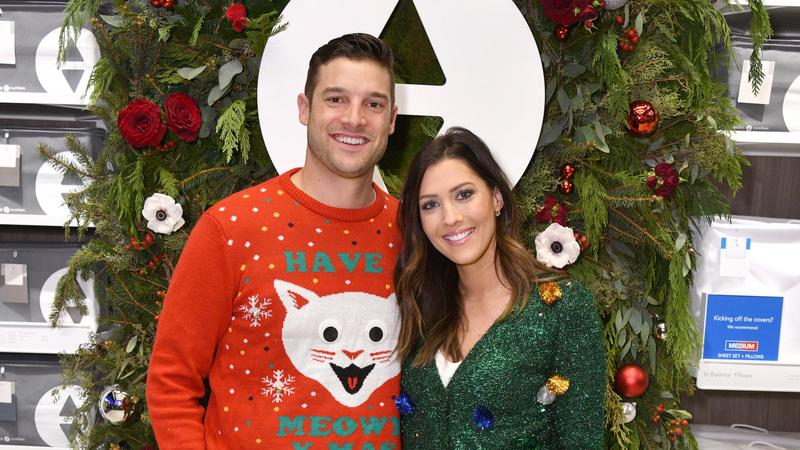 Becca Kufrin and Garrett Yrigoyen aren’t getting married just yet, despite a photo shoot with Forget Me Knot Events that led to some confusion about their marital status over the weekend. As reported by Bustle, the engaged couple did a staged series of wedding photos in Squaw Valley, California, which is very near Yrigoyen’s hometown of Reno, Nevada. The photos were posted on Instagram on Saturday and sparked some heated debate over whether or not the pair had secretly gotten married. However, the photos were actually part of a “Boho Wedding Inspiration” feature for the website Wedding Chicks rather than the pair’s actual wedding. Yrigoyen and Kufrin have been engaged since he proposed to her at the end of The Bachelorette season 14, and from her social media posts, it seems they are still going strong, so it makes sense these photos sparked some debate about the status of their relationship. On Friday, the same day Wedding Chicks posted the feature and the day before Forget Me Knot Events shared them on Instagram, Kufrin told Us Weekly the pair has absolutely no plans for their future nuptials. “No dates, no months, no venue,” she said. “I would say the fall of whatever year we choose because she loves the fall,” Yrigoyen added, which does at least fit the theme of their photo shoot. Neither Kufrin nor Yrigoyen have addressed the photo shoot on their personal social media accounts, which should at least help fans relax a little. Surely, even if they don’t have their wedding televised, the pair will be generous with photos from the ceremony… whenever it actually happens.